Back in July we posted about Path, an app that lets you share photos privately with 50 friends & family. Well, let’s just say the app was very limited and with the lack of social features, it was boring. 4 months later, they have basically revamped the whole interface and features and now, Path (two) has been released on the App Store and Android Market. The interface now looks a lot like Facebook’s profile timeline where all our entries are listed out on a vertical line. They’ve also added some gesture controls. Swipe from left brings up settings and other tabs. Swipe from right brings up your friends list. Path is the Smart Journal that helps you share life with the ones you love — your thoughts, the music you’re listening to, where you are, who you’re with, when you wake and when you sleep, and beautiful high quality photos and videos. 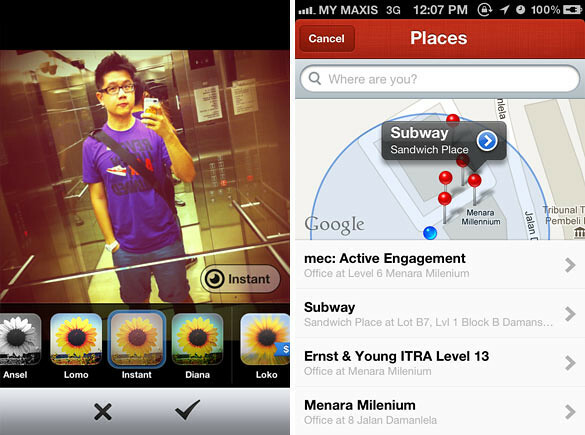 And for those of you who like to share on public networks like Twitter, Foursquare, and Facebook, you can easily check-in, upload photos and videos, and tweet directly from Path. Pressing on the “+” button on the bottom left lets you add photo, location, music, video, status updates.. well.. basically everything to your timeline. It even has the option to announce your daily sleep and wake up time. You can add smileys to posts made by your friends. Comments as well. See how we can add filters to the photos we are uploading? Definitely a copy from Instagram. Haha. Screen on the left shows how we can add location into our timeline. ★ New Design – We’ve re-imagined what Path is with a brand new design and new stories. ★ Covers – Decorate your Path with a large beautiful photo, like wallpaper for your Path. ★ Automatic – A journal that writes itself, Path can recognize when you spend time in a new neighborhood or visit a new city and records it for you automatically. ★ Music – Share and enjoy what you’re listening to with your Path friends. ★ Sleep – Record your sleep schedule to your Path with correct moon phases and number of hours slept. ★ Check-in – Let your friends know where you are by sharing places on Path. And if you like, check-in on Foursquare too! 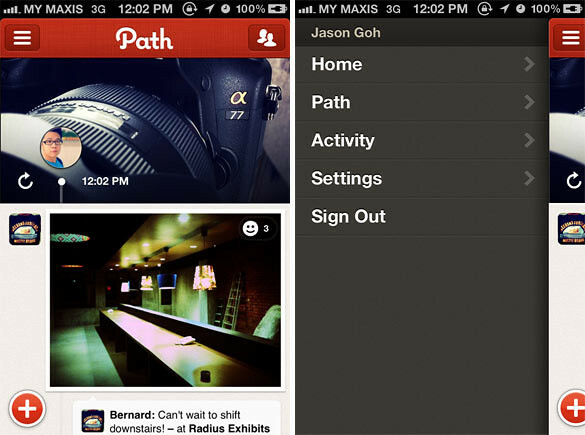 ★ Private – Keep any post to yourself with a simple private option, or just share with your friends on Path. ★ Notifications – Receive better push notifications directly to your iPhone or iPod touch. ★ Settings – Customize your email and notification preferences from within Path. 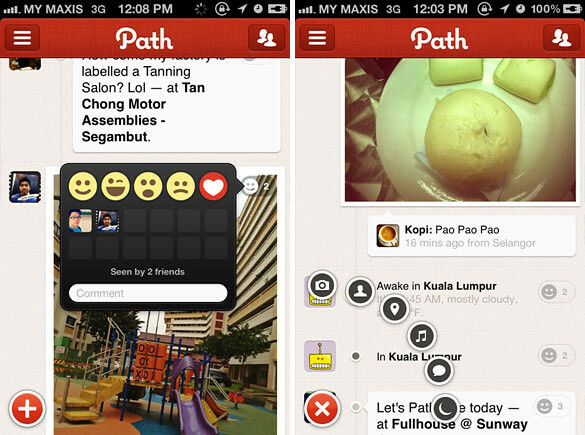 ★ Share – Easily post to Facebook, Twitter, and Foursquare directly from Path.